Thane (Maha), Sep 11 (PTI) The Western India Football Association (WIFA) has formed an ad-hoc committee for Thane district, which will help players of the region and also develop the sport, it was stated here Tuesday. Local football players had been facing several issues since the last several years in absence of a proper association for the district. Addressing a news conference here, WIFA CEO Henry Menezes and its secretary Souter Vaz announced the formation of the committee with Pyarelal Chudhary as its chairman and Sunil Poojary as the convenor. They said Thane district had a lot of potential for development of football, but players suffered because there was no proper association for them. "It was observed that no football activity (worth the name) has been taking place in Thane district for many years and football clubs were forced to participate in leagues conducted by the neighbouring districts. 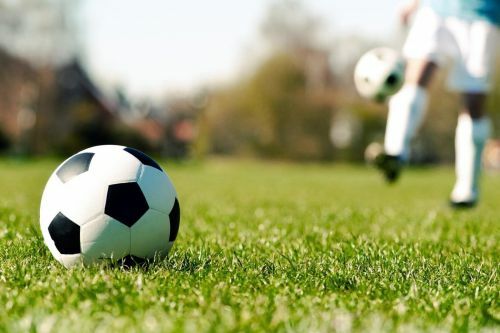 "A number of complaints were also received from teams and players of the district that leagues for the districts were not held for many years and football was suffering. "Hence, the WIFA, at its executive committee meeting on July 21 last, formed an ad-hoc committee for Thane district which will oversee the activities in the district," they said. The committee will conduct leagues and other tournaments for Thane district at various centres, including Thane, Kalyan, Navi Mumbai and Mira-Bhayander, Menezes and Vaz added. "Two top teams after completion of the leagues at various centres will qualify for the playoff league and these eight teams will form the first division for the next season," they said. The office-bearers said in addition to this, women's leagues would also be organised.